Based in Scotland near the city of Glasgow, Angelwax have a research, development and manufacturing facility from where all of the Angelwax product range is created before being shipped all over the world. The products are made in small batches by hand and then stringently tested to ensure that only the finest quality detailing products leave the premises to adorn your vehicle. All Angelwax creations are exact, precise and genius in nature. The unique range of detailing waxes contain the highest quality, pharmaceutical grade wax the world has to offer and when combined with the unique Angelwax blend of natural oils they leave a finish that is unsurpassed with the durability to outlast even the most expensive waxes available in today’s market. 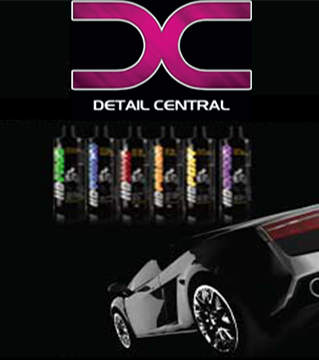 See the range of Angelwax products in the brochure below. Angelwax - Heaven Scent, Wicked Finish.